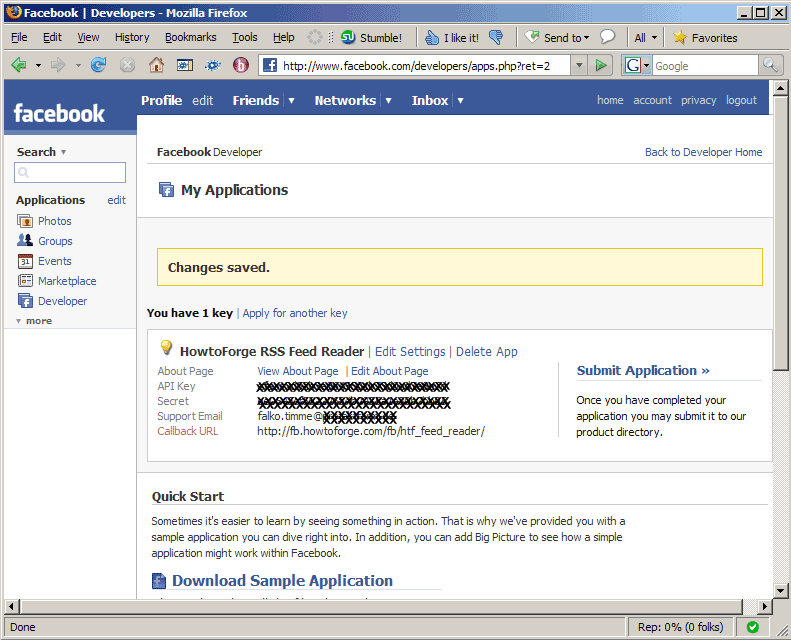 You can see this application in action by installing the HowtoForge RSS Feed Reader for Facebook. This guide is based on a real-world example, the HowtoForge RSS Feed Reader for Facebook, and I will use the real URLs and scripts in this example (only replacing secret data like the API key and the Secret). 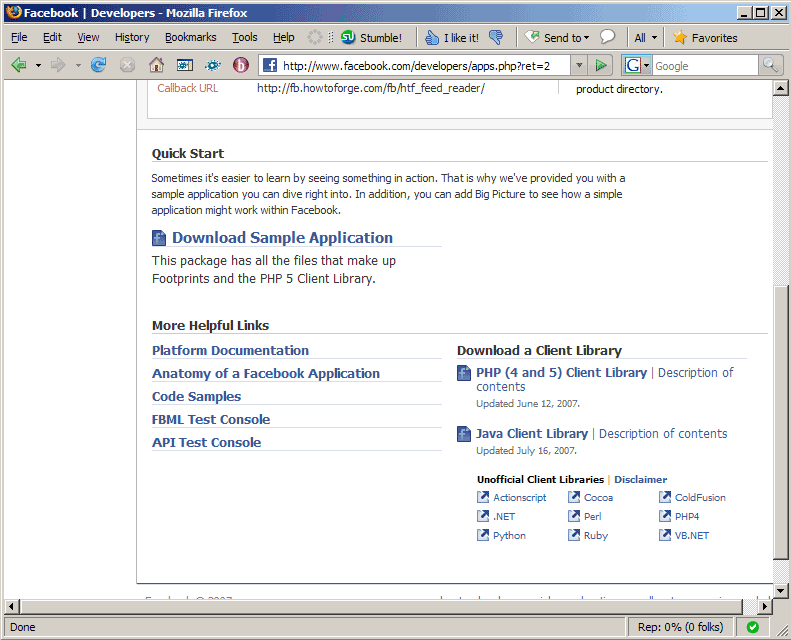 As I mentioned before, I'm using PHP5 to build this application, using Facebook's PHP Client Library. 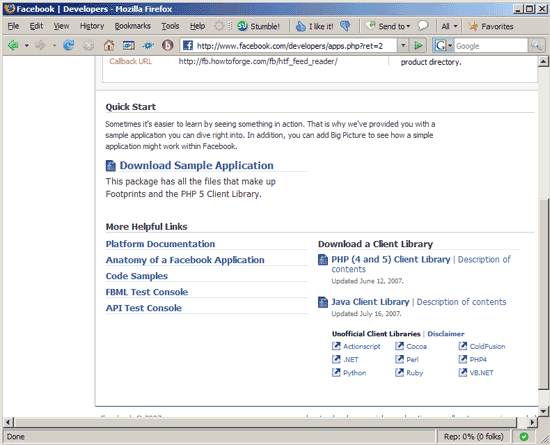 Theoretically you can use PHP4 as well, but the client platform is optimized for PHP5, so you should use that if possible. 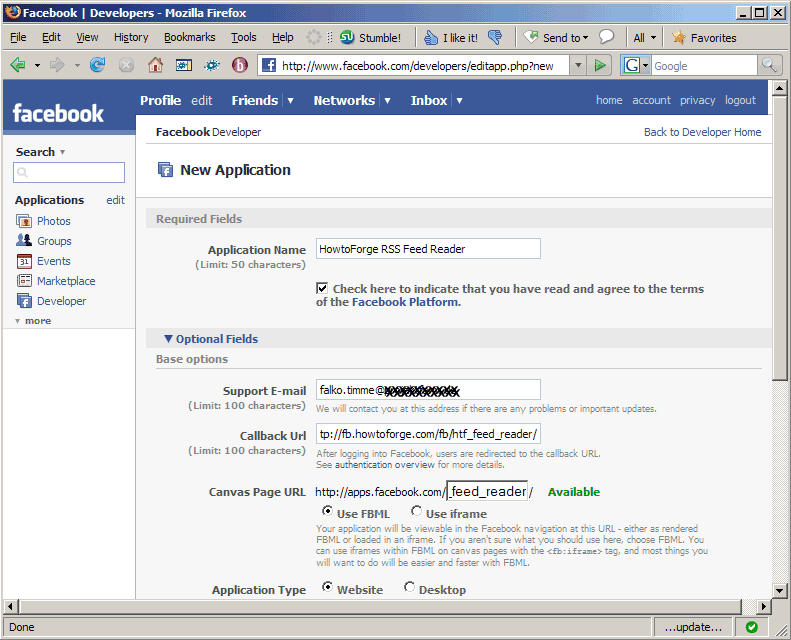 I'm using the host fb.howtoforge.com in this example to host the application; it is a PHP5 capable web site. 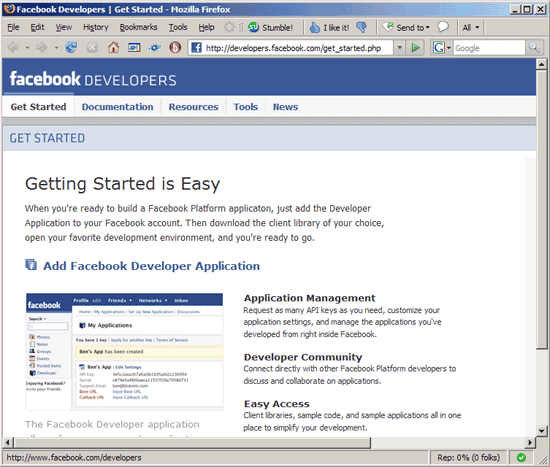 Afterwards, you should start with these examples to get used to creating Facebook apps. However, I will use these examples in this tutorial again (at the beginning) to make sure that everything is working as expected before I try to write my own stuff. 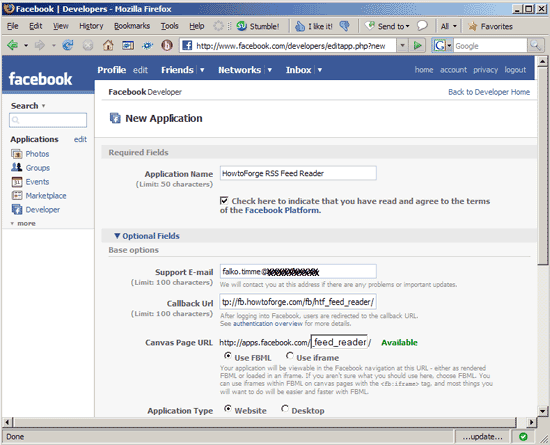 Before we start programming our application, we must tell Facebook about it, and Facebook will then give us an API Key and a Secret which we need to build the application. 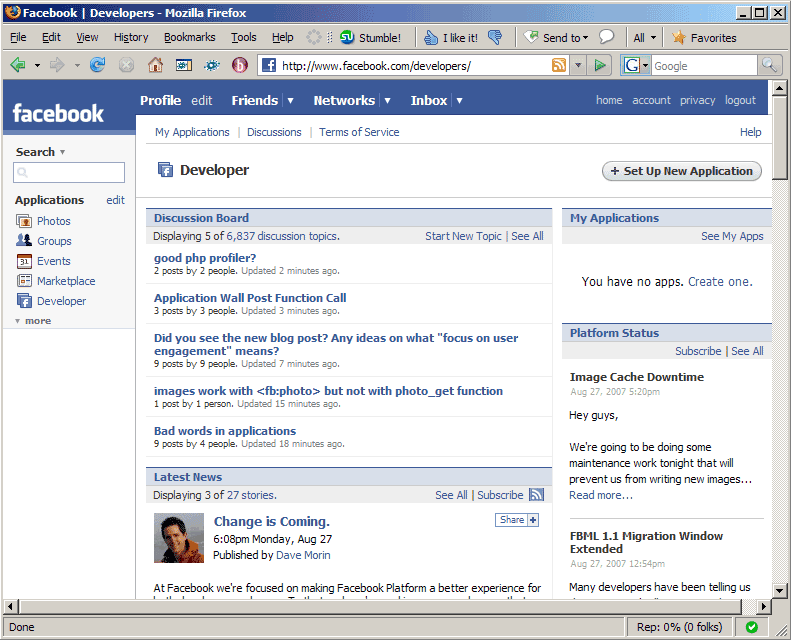 You should now be on the My Applications page where you can find the API Key and the Secret for your app. Copy them, we'll need them for our app later on. This tutorial is excellent, but it appears to refer to the 'old' version of Facebook. 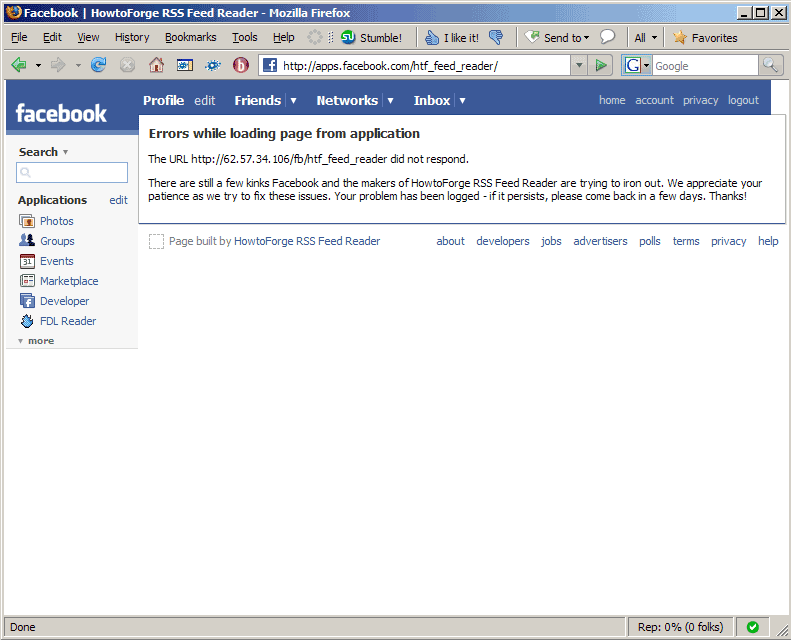 "No content to display. 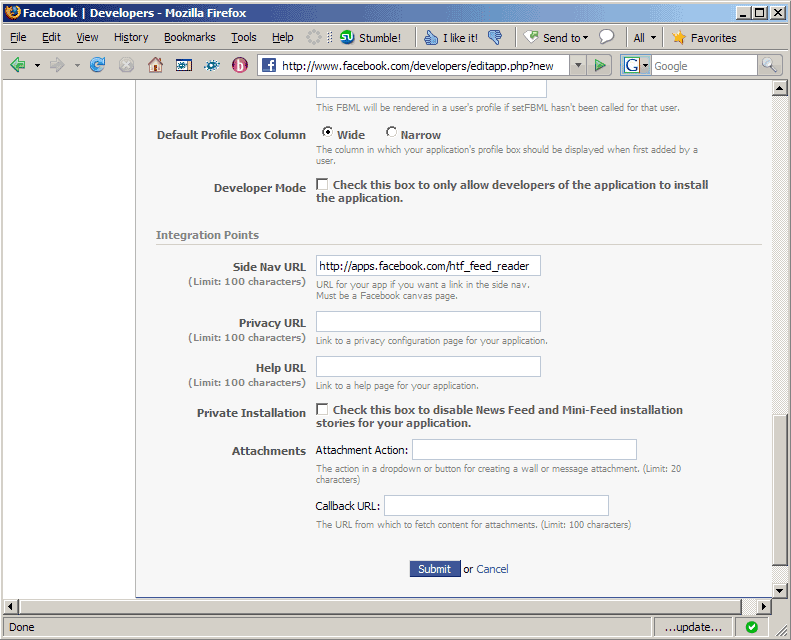 This box will not be visible to people who view your Profile until this application adds content to it." 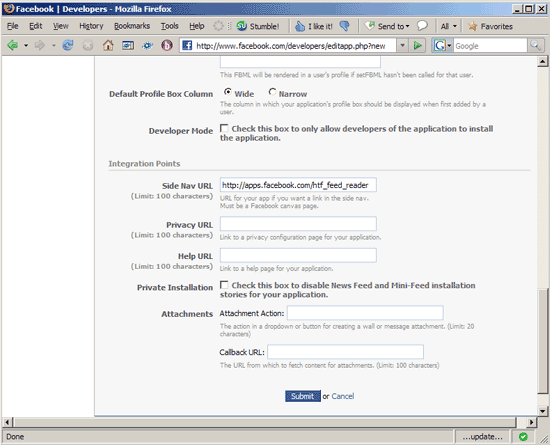 Has anyone had success adapting this tutorial for 'new' Facebook? yeah me too, this do not work now for the new version of the librery, so??? 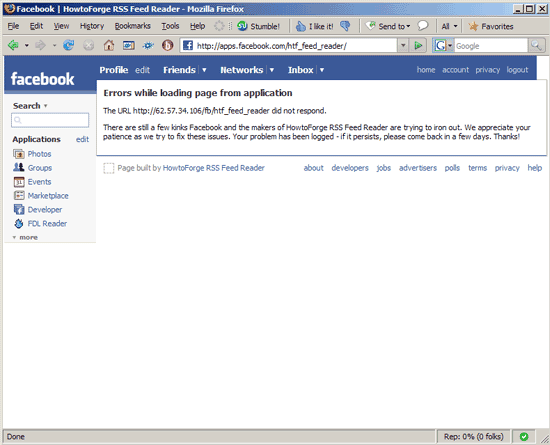 can you help us telling us how to solve this issue? Facebook always seems to change things around. 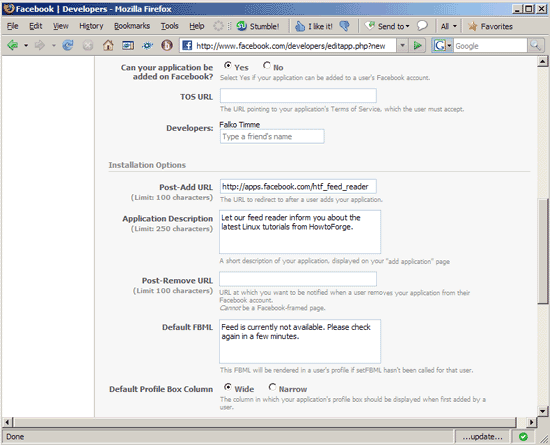 Now you can use the Facebook Notes Application to add an RSS or ATOM feed to your page. 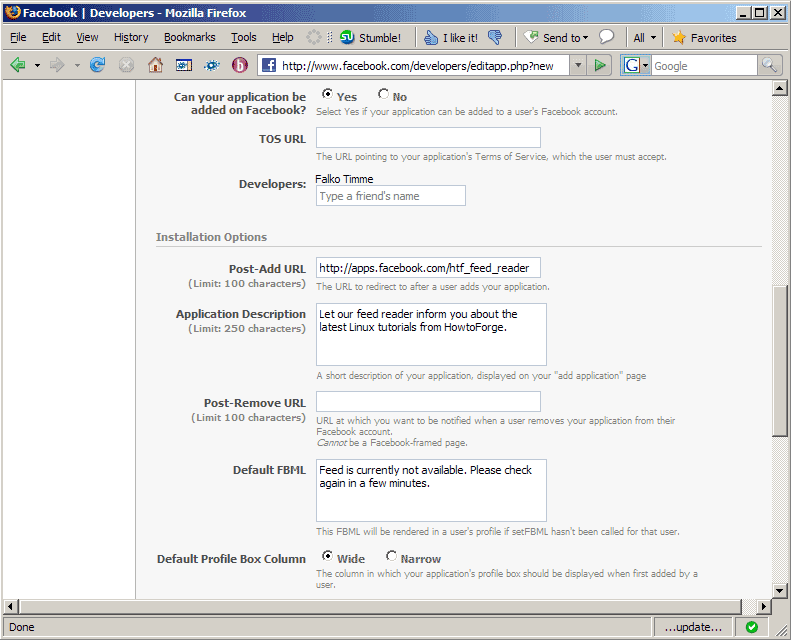 The only drawback with this method is that it only allows you to add one single feed.